Last year I bought a crochet slipper pattern from mamachee on etsy. They worked up quite nicely. But today I don't want to talk about them. I want to talk about her pattern for a crochet viking hat! 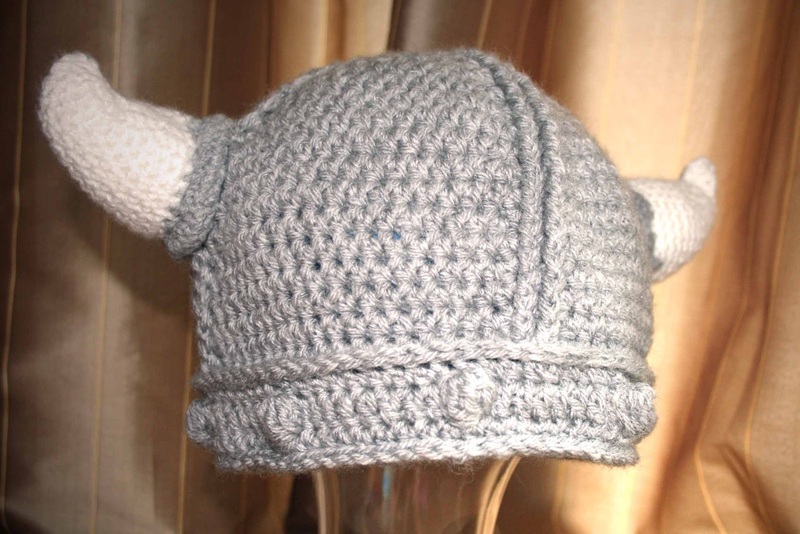 I loved it right from the moment I saw it, but how often does one really need a viking hat? I couldn't come up with a good reason to purchase the pattern. My husband is an assistant hockey coach of my kids hockey team (two of my kiddies play on the same team). The other day the head coach, a friend of ours, told my husband he looks like a viking. That is all I needed to get the pattern. (I told you had had been pining for it). It was a great pattern. It went together perfectly. I had it done in time for my husband to wear to their last game. Fun. 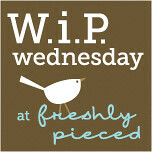 Since it is Wednesday, I will fill you in on my Work in Progress (WIP). Really, I have not done much, just a little bit more of my hexagon quilt. I keep saying I will wait until all the hexies are made to take pictures, but I thought I should show you that I am actually working on them. Aren't they fantastic? I have a little over 800 done.